A celebration of climbing on some of the best UK rock. Organised by climbers for climbers! 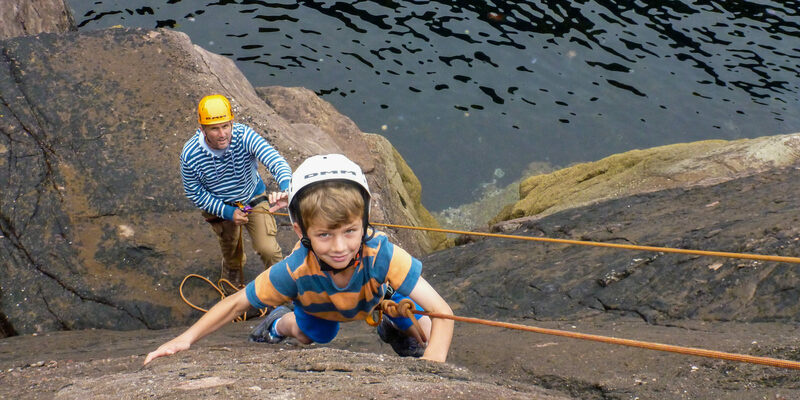 Come and climb at Reiff, whether you are part of a club, an individual, experienced climber or never tried it before. Activities include recreating the ‘indoor wall’ outdoors for those who want to join in but don’t have the kit. Workshops for those who want to improve their skills with a coach/instructor. Family activities and a Ceilidh or just relax in the pub! IT’S ALSO THE WEEKEND OF THE COIGACH HALF MARATHON!! 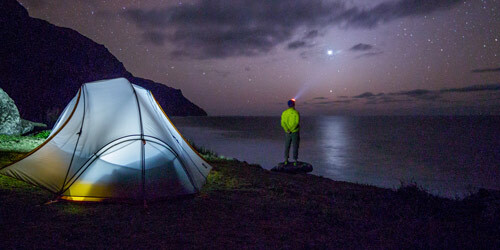 Arrive at Port a’Bhaig Campsite to sign in with event organisers at the pub from 8-10pm. Climbing at Reiff! Ropes will be in place at the Pinnacle Area for anyone who wants to give outdoor climbing a try but doesn’t have the kit. Make sure you’ve booked your ‘Top Rope’ ticket. Guided day available with a Mountaineering Instructor. 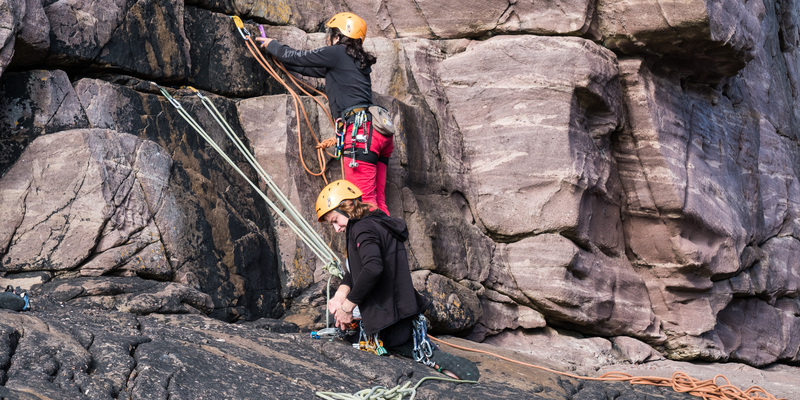 Workshops to help you improve your knowledge and help your lead climbing. 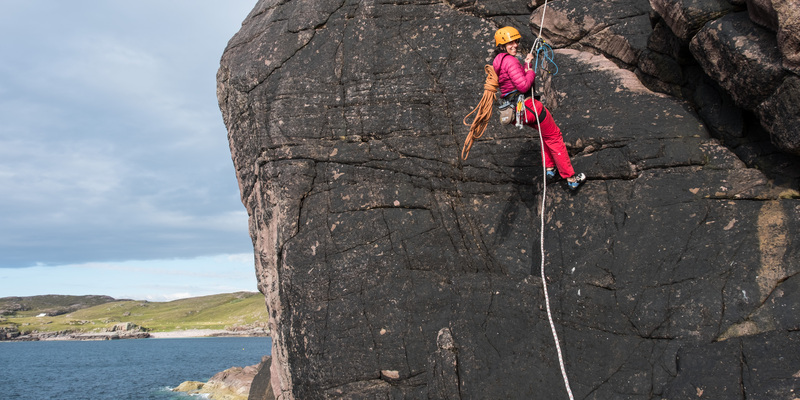 Climbing at Reiff! Ropes will be in place at the Pinnacle Area for anyone who wants to give outdoor climbing a try but doesn’t have the kit. Make sure you’ve booked ‘Top Rope’ ticket. Coigach Half Marathon, make sure you sign up here. Evening Ceilidh at the Coigach Community Hall from 8pm till midnight (price included with camp and ceilidh ticket). We really want to encourage groups of friends to come up and climb together this weekend so even if you’re not interested in doing any workshops etc please do come and camp with us! Tickets are now on sale at their most basic will just include camping but there will be bolt-ons for the ceilidh. Guided day available with a Mountaineering Instructor. What ever your looking for from learning to lead climb to touring the classics of the crag. Talk to us to see how we can help your festival be the best it can be. Workshops to help you improve your knowledge and help your lead climbing. Already lead climbing but want a little touch up, some professional instruction will be on hand at these sessions to help you improve. From technique lessons to rope tricks let us know how we can help develop your climbing. 3 nights camping at the wonderful Port a Bhaigh Campsite (right next to the pub) and a Ceilidh ticket for the dance on Saturday night. So you've climbed indoors for years but never really tried touching REAL rock. Let us help you, particular areas will be rigged up just like inside. Treat yourself to a top roping wristband and come learn to climb with us. Feel like you want more, the guided option is a chance to learn from a Mountaineering Instructor. Always wanted to try lead climbing? Want guided up a sea stack? Not sure how multi pitching works? This session is for you. The day is based on a 1:2 ratio so why not find a friend and book your ticket. A change to shape up on your rope skills. A half day of tips and tricks from a Mountaineering Instructor. This session is aimed at those with some climbing experience who are wanting to get to the next stage and want a little advice to help them along the way. Wondering where to stay? If you’ve never been to the North West Highlands of Scotland before, you’re in for a treat. With some of the best scenery and landscapes in the UK, there’s something here for everyone. Of course responsible Wildcamping is allowed in Scotland and so you could seek out your ideal secluded spot, but to really get into the festival atmosphere you might like to stay on-site at Port a’Bhaig Campsite (cost included with a Camp and Ceilidh ticket). There’s plenty of other accommodation in Coigach (the peninsular which Reiff is part of). There’s a website with a list of providers here. The closest to the crag you can get is the hamlet of Reiff whilst Port a’Bhaig campsite is 2 minutes away from the pub (evening meals, pool table and drinks). The hall where the ceilidh will be held is in Polglass, just under 5 miles away from the campsite. There’s also a good grocery shop in Achiltibuie where you can stock up on essentials and a craft shop in Polbain where you can get some souvenirs! This years festival is being run entirely by volunteers led by local climber Tim Hamlet. Ask Tim a question! 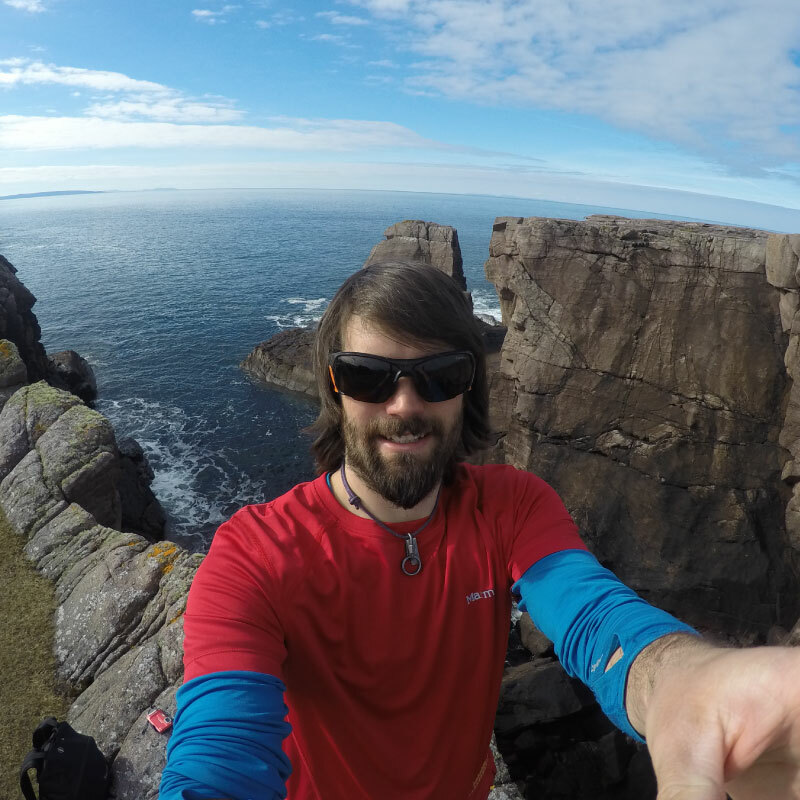 We are able to climb here at Reiff using Scottish Access legislation to access these popular cliffs. These access rights apply to everyone following the Scottish access code. This code requires dog owners to be in control of their dogs. In fields with sheep dogs have to be on a lead and must not attack, chase or worry livestock . Worrying of livestock is a criminal offence. Please respect the access legislation and leave the place how you would like to find it.